A better approach to minimally invasive heart valve surgery. Valve disease treatment has improved dramatically over the past 15 years, from being able to replace faulty valves with prosthetics to today, where we are now able to surgically repair the valves without cracking the chest (open surgery). Through minimally invasive surgery, we need to make only a 2-inch incision to repair or replace a valve, and the recovery time is reduced to 10 days versus six weeks for traditional open surgery. We’ve performed more of these procedures than others in North Texas, and UT Southwestern is leading the advancement of additional new treatments. Most heart procedures – even those that are called minimally invasive – require that the patient be under anesthesia for four to six hours and for the surgeon to cut through part or all of the patient’s breastbone. The recovery time after these surgeries is six to eight weeks to allow the bone to heal. Dr. Doolabh’s approach takes two hours and requires only one small incision. This less invasive procedure makes heart surgery more viable for people with complex health conditions, for whom traditional heart surgery poses much greater risks. Because these patients are not as resilient, they often put off surgery as long as possible, increasing their odds of developing heart failure. With Dr. Doolabh’s technique, patients can get in sooner and get help before their heart is damaged further. With incisions measuring typically no more than two inches, no opening of the sternum, reduced pain after surgery, and recovery times of days rather than weeks, Dr. Doolabh is changing the way patients feel about this type of surgery. Very few patients, when offered the chance to have minimally invasive heart valve surgery, would opt for a more invasive approach. Dr. Doolabh offers an approach to heart valve repair that is dramatically different from what is typically performed: He doesn’t cut through the breastbone. Traditional heart valve surgery requires cutting through the breastbone while Dr. Doolabh’s approach avoids the breastbone altogether with a small incision between the ribs. What is a minimally invasive valve operation (mini valve)? Traditional valve operations are done via a 10- to 12-inch incision down the middle of the chest and dividing the breastbone which is also known as the sternum. The biggest limitation of traditional valve surgery is that the breastbone needs to heal after it is divided. Given the inability to place a cast on the breastbone for fixation, patients are required to not use their arms to push, pull, or lift more than 10 or 15 pounds for approximately six or eight weeks. Patients are also required not to drive during this time interval while the bone heals. Minimally invasive – or mini valve – operations are designed to speed up the patient’s recovery and minimize the trauma the patient undergoes during a valve operation. The two most common valves operated on are the aortic and mitral valves. What is the difference between a minimally invasive aortic valve operation done at UT Southwestern versus elsewhere? Most centers that perform minimally invasive valve surgery divide 1/2 to 3/4 of the breastbone via a smaller incision providing no significant benefit other than a more cosmetic operation. The patient’s recovery is still dictated by the six or eight weeks required for the bone to heal. At UT Southwestern we don’t divide the breastbone at all and perform the operation via a 2-inch incision between the ribs. Given that there is no healing of the breastbone required, our patients are allowed to drive as soon as they are no longer taking pain medications – generally within a week – and many of our patients return to work within two weeks. Our procedure is very quick and efficient and typically takes less than 2 1/2 hours. After the operation many patients wake up in the operating room, and most of our patients spend only three and five days total in the hospital. What is the difference between a minimally invasive mitral valve operation done at UT Southwestern versus elsewhere? All of our minimally invasive mitral valve operations are done via a 2-inch incision between the ribs with direct vision by the surgeon at the patient’s side. We do not utilize the surgical robot for cardiac surgery as it places the surgeon at a console away from the patient, requires multiple points of entry in the chest, and is unable to perform all the functions a human can do in regards to mitral and aortic valve repair or replacement surgery. As with the aortic valve most of our mini invasive mitral valve operations are done in less than 2 1/2 hours, many patients are awake immediately after the operation, not requiring post operative ventilation. Many of our patients are able to drive within a week and return to work within two weeks. 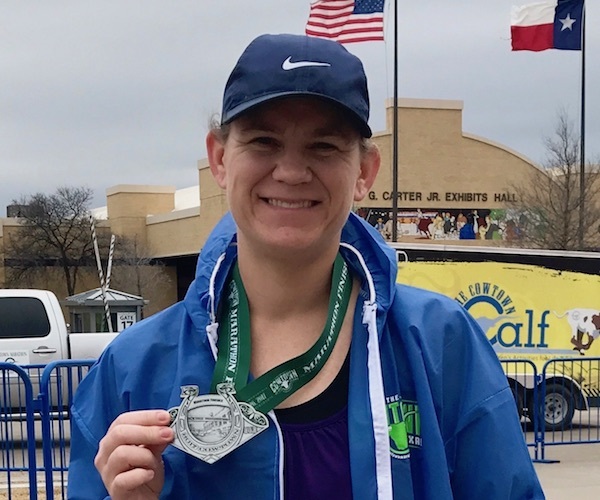 What makes UT Southwestern the destination of choice for many patients from around the country for mailing base of valve surgery? We've performed well more than 1500 of these operations with excellent results. Very few centers around the country, if not the world, have as much experience with this operation as we do. 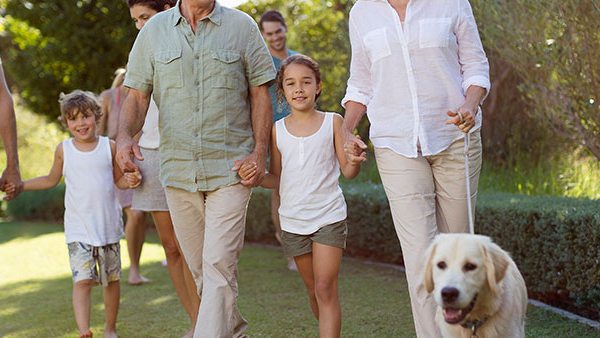 In the pre-operative setting our patients and families go through an education process and thorough evaluation allowing them to have all their questions answered, as well as a tour of the facilities prior to their surgical procedure. While in the operating room they are taken care of by a dedicated team of anesthesiologist perfusionist scrub techs and nurses, all of them specifically chosen for this procedure, and have a great deal of experience doing these operations daily. After the surgery the patients are cared for with the help of a 24/7 ICU team. Once on the telemetry ward patients have immediate access to our nurse practitioners and physicians. Once discharge home the patients and families are given a 24/7 contact number to call with any questions concerns regarding their medications, their recovery, or any needs that they may have. The operating surgeon is always available for these patients even after discharge till they recover and are seen in the office. 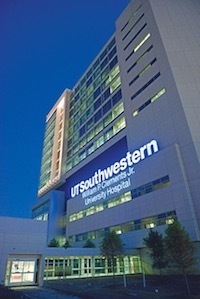 What other types of operations can be done through the minimally invasive approach at UT Southwestern? Watch videos and read patient reviews from just a few of the many people who have had their lives changed by minimally invasive heart valve surgery at UT Southwestern. We ensure that our minimally invasive valve surgery patients are always the center of the care team. Throughout the process, patients have access to our 24/7 referral line for any questions or concerns. When they call 214-74-VALVE (82583), they reach a registered nurse at any time of the day to answer any questions and address concerns. Here’s some more information on what patients can expect through the process. We receive referrals in a number of ways. Patients, their families, and/or referring cardiologists can call our referral line at 214-74-VALVE (82583). Then we obtain the patient’s medical records, including imaging, such as an echocardiogram and heart catheterization, before the first appointment. At the initial appointment our care team determines if surgery is indicated; if so, the surgery can be scheduled during this appointment. Once a surgery date has been selected, we provide written instructions to the patient detailing their surgery appointment times and a medication schedule to follow before surgery. One or two days prior to surgery, patients – along with members of their families and support system –attend a pre-surgery testing appointment where lab tests, X-rays, and EKGs are performed. Patients and their loved ones also attend a personalized teaching session during this time. This session covers what the patients and their loved ones can expect during the hospital stay and allows time to interact with the health care team and to have any questions and concerns addressed. All our surgeries are performed at William P. Clements, Jr. University Hospital, a state-of-the-art facility designed to enhance the experience of our patients and their families. Even though we are a teaching institution, surgeries are performed only by Dr. Doolabh and his select operating room team. Patients are in the operating room for around four hours. Most patients spend one night in the intensive care unit, and are then transferred to a private room. Total hospitalization is typically four days. To ensure seamless care throughout the experience, our valve coordinator visits patients and their family during this time. Prior to discharge, all follow-up appointments are made and detailed at-home care instructions are provided and reviewed with the patient and their support system. Once home, patients continue to have access to our 24/7 referral line for any questions or concerns they may have. Most patients are able to drive within seven days, as long as they are not taking pain medication, and are back to work within two to three weeks. To ensure follow through, we see the patients about a month after surgery. We also encourage patients to take advantage of our cardiac rehabilitation program, which is designed to help patients actively participate in their own healing and recovery by focusing on risk factors, education, and exercise. 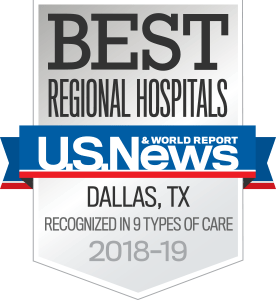 All heart surgeries take place in UT Southwestern’s William P. Clements Jr. University Hospital, ranked #1 hospital in Dallas-Fort Worth by U.S. News & World Report. Clements University Hospital brings together the knowledge, expertise, research, and innovation of a world-class medical institution into one remarkable facility – with the patient at the center of it all. 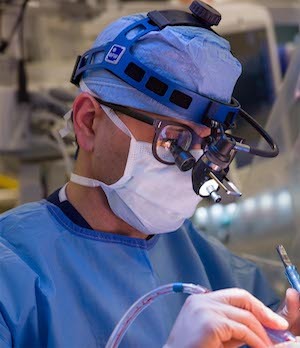 Dr. Neelan Doolabh is part of an elite group of surgeons dedicated to the most technologically advanced surgical techniques for patients suffering from heart disease. He earned his medical degree at UT Southwestern, where he also completed a residency in surgery and a fellowship in cardiothoracic surgery. 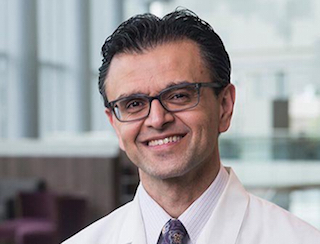 After 13 years in private practice, he joined UT Southwestern as an Associate Professor and Director of Minimally Invasive Heart Valve Surgery. Dr. Doolabh is a member of the American College of Surgeons, the American Medical Association, and the Texas Medical Association.